Patriotic recruitment song published in Louisville, KY. In The Piano in America, 1890-1940, Craig Roell states that by 1915 the majority of white middle-class urban families had pianos. 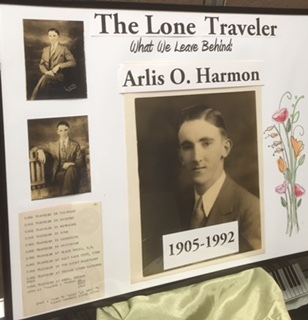 With such a large market, it is not surprising that author Bernard Parker located over 9500 patriotic songs published in the United States between 1914 and 1920. 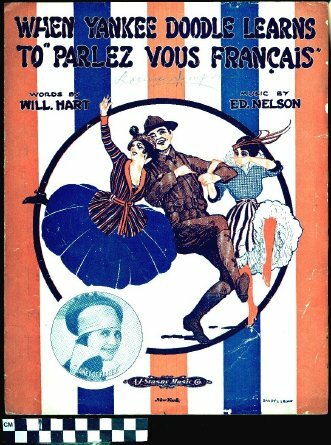 Popular WWI songs often spoke of the gaiety of Paris. 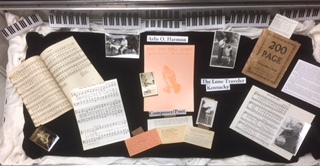 Due to the generosity of numerous donors, including Mary Clyde Huntsman, Drucilla Jones, and Bob and Carol Crowe Carraco, WKU is fortunate to have a good representation of the songs of World War I. 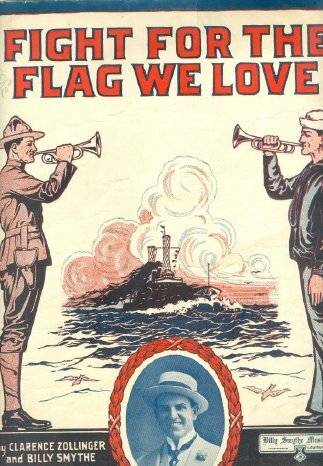 For additional reading, see: Bernard Parker, World War I Sheet Music: 9,670 Patriotic Songs Published in the United States, 1914-1920, with More Than 600 Covers Illustrated. Jefferson, N. C.: McFarland, 2007; Vogel, Frederick G., World War I Songs: A History and Dictionary of Popular American Patriotic Times with over 300 Complete Lyrics. Jefferson, NC and London: McFarland and Company, Inc., 1995; Watkins, Glenn.. Berkeley: University of California Press. 2003. Where Politics is Fun . 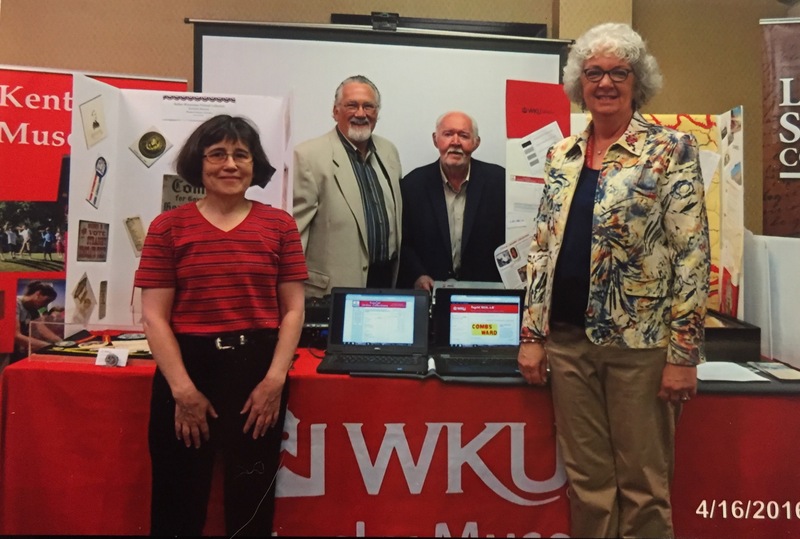 . .
On Saturday, April 16, 2016, the Spring Political Americana Collectors of Kentucky show occurred in Louisville, KY. WKU Alumnus and PACK member Bob Westerman invited Kentucky Museum curator Sandy Staebell and Special Collections Librarian Sue Lynn McDaniel to exhibit items and our online access to the Rather-Westerman Political Collection. Our ephemera and artifact collection is the best worldwide for primary sources on campaigning by national, state, and local politicians in Kentucky. We set up two computers. One allowed us to do Kencat searches on politicians, types of collectibles, and locations of interest. The second computer played the “Campaigning in Kentucky” gallery of Worth A Thousand Words: Special Collections Galleries in TopScholar http://digitalcommons.wku.edu/pol_camp_ky/. In addition, we brought some of our most unique items in protective display cases to create interest among the members viewing our booth. 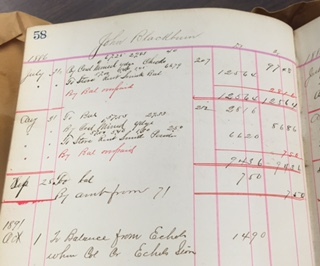 The high point of the day was the arrival of charter member Julius Rather who began donating to Library Special Collections and the Kentucky Museum in 1983. Other PACK members rushed to greet Mr. Rather, his wife, daughter, and grandson. Mr. Rather enjoyed seeing other members and getting more familiar with WKU’s online presence of the Rather-Westerman Political Collection. 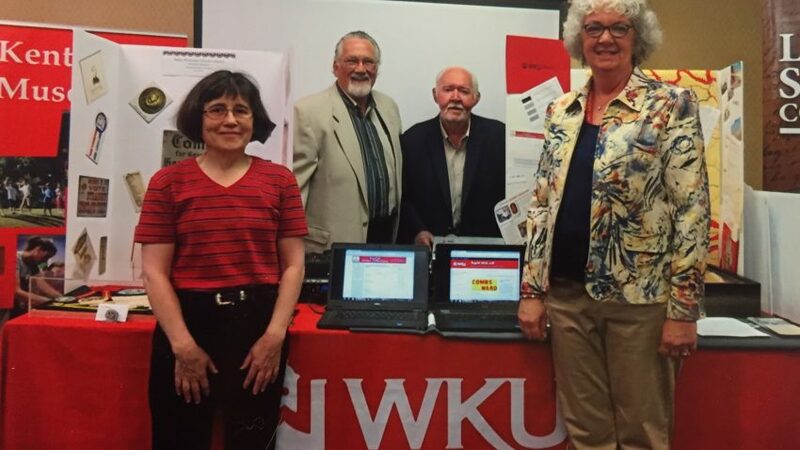 For WKU, the day was a huge success as other members asked questions about making donations and accessing our collection. One vendor donated a stuffed toy donkey with a Democratic candidate’s pin on it to the Kentucky Museum. 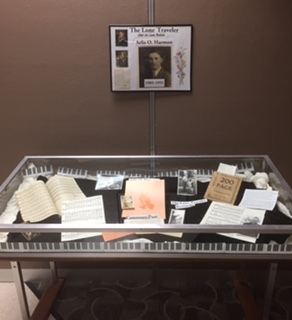 Researchers interested in learning more about WKU’s Rather-Westerman Political Collection should visit kencat.wku.edu and search “Rather-Westerman” or the politician, county, or office of their choice. If you need assistance in online viewing, contact our Research Assistance Desk, Monday – Friday, 9 a.m. to 4 p.m. CDT. If you are a potential donor, we would love to talk to you about items you may have collected over the years. For a woman who disliked politics for her first 50 years, I can know say that the “Rather-Westerman Political Collection” and PACK shows are fun! Comments Off on Where Politics is Fun . . .
For generations, Raggedy Ann has been an ageless playmate for children and collectors. In 2015, she celebrated her 100th birthday. 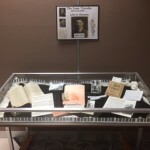 Now thanks to the inspiration of Lesley Montgomery, the Western Room in the Kentucky Building is exhibiting books from Library Special Collections and the co-curators’ loaned dolls. A total of ten children’s stories written by Raggedy Ann author Johnny Gruelle in the 1920’s are also featured in the exhibit. 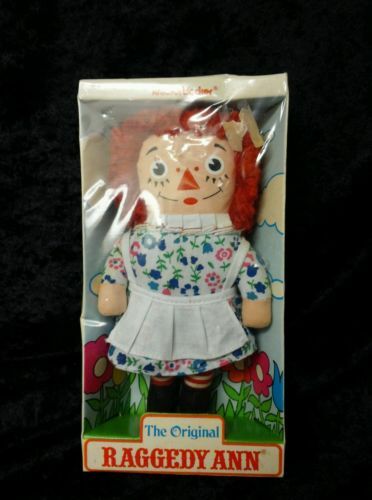 Still very collectible, this Raggedy Ann in her original package was for sale on eBay on November 13, 2015. 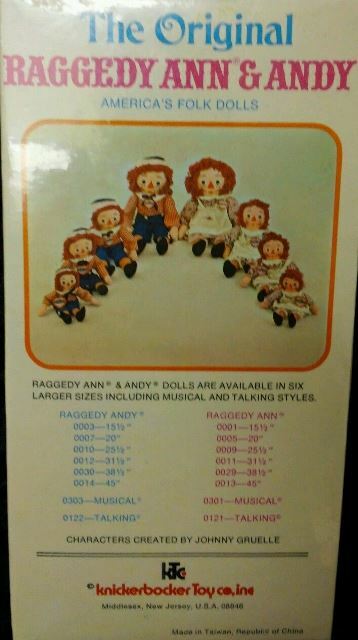 The back of this original box on eBay shows the many sizes of dolls. Christmas present to Sue Lynn’s aunt in 1921 and passed down to Sue Lynn before 1977, giving her doll a comfortable chair. Sophie Trent, a Kentucky Museum student employee, is bringing her pair of dolls to join the exhibit after Thanksgiving, once again proving the enduring joy these dolls bring to kids of all ages. 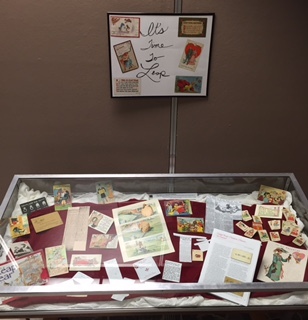 The second case exhibits children’s stories Johnny Gruelle wrote and a book entitled Johnny Gruelle, creator of Raggedy Ann and Andy. 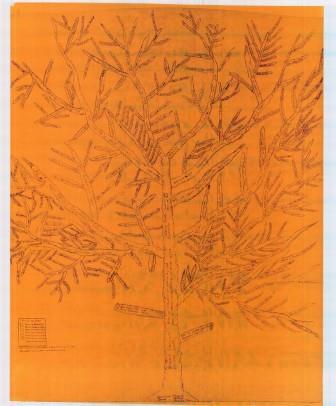 Several of WKU Library Special Collections’ books are one of less than ten reported to WorldCat. We encourage readers to comment on this blog with your own stories about your Raggedy Ann books and/or dolls. The exhibit will be open through December 11, 2015. Comments Off on Raggedy Ann is 100! On August 22, 2015 at the Cave City Convention Center, Katherine Pennavaria and Sue Lynn McDaniel presented a total of four of the ten sessions aimed assisting genealogists in their research at “Finding Your Family Story: Genealogy Symposium.” In the morning, McDaniel presented Beginning Genealogy 101-Part I and Beginning Genealogy 101-Part II, while that afternoon Pennavaria presented “Dancing with your skeltons” and “What else does the census say?” All four sessions were well attended and received positive feedback from participants. 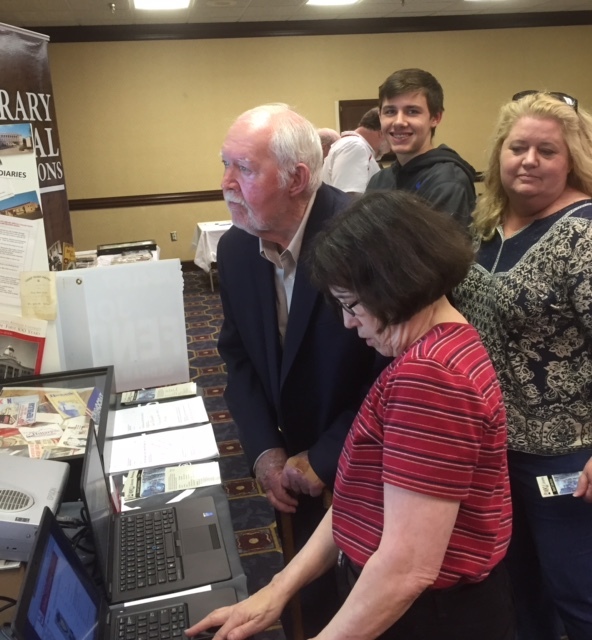 Informing local historians and genealogists about Library Special Collections is a constant goal. Library Special Collections also had a table informing the public about one of the best genealogical libraries in the state of Kentucky. 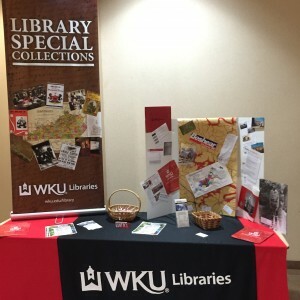 Available for pickup were Special Collections rack cards, WKU Libraries: Your Research Partner, McDaniel’s business card, WKU Libraries pens and candy. 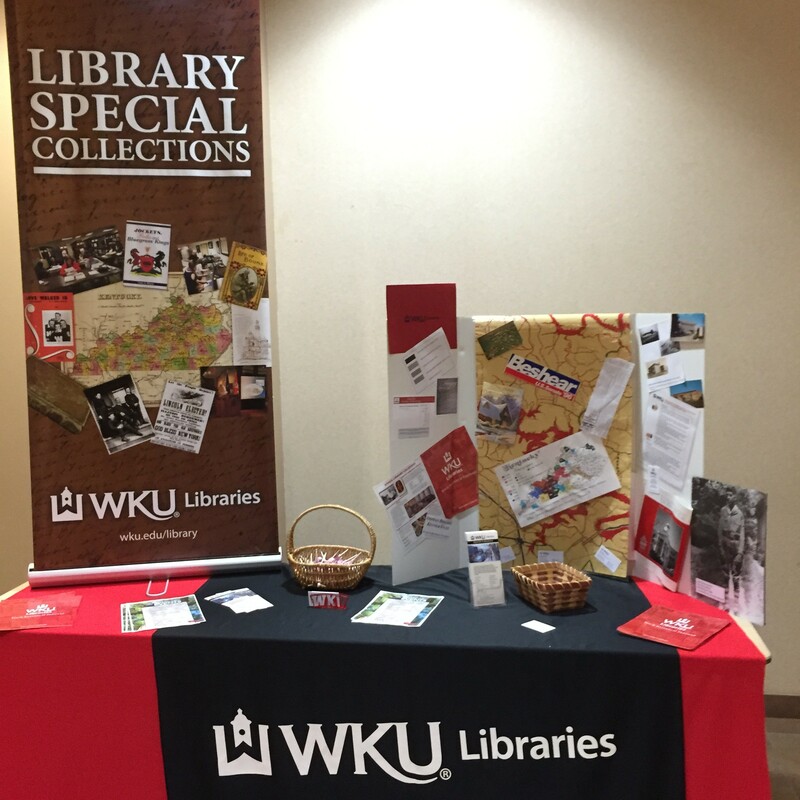 McDaniel plans to have a table at the upcoming Louisville Genealogical Society’s Annual Seminar on October 17th. Working with the LGS Seminar Chairman 2014 and 2015 Donald C. Howell, McDaniel will plan a Louisville Genealogical Society field trip to Library Special Collections to learn more about unique resources in our collection. The Department of Library Special Collections at WKU already has an impressive collection of illustrative material related to Mammoth Cave. These items include glass plate negatives, post cards, guide books, etc. A recent acquisition of a complete set Charles L. Waldack’s 1866 stereo views will greatly enhance these materials as Waldack is the first photographer of the cave. The 42 “Magnesium Light Views in Mammoth Cave” were published by E. & H.T. 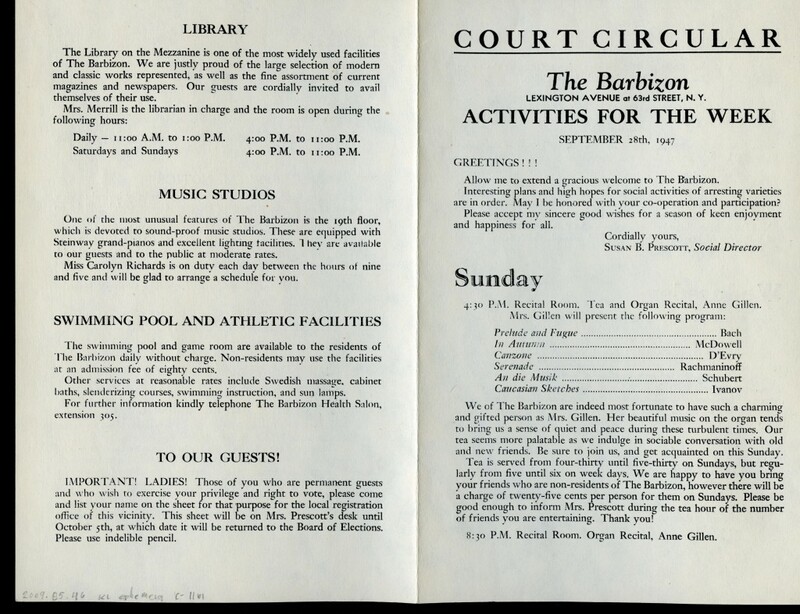 Anthony & Co. and include scenes of the Hotel, guests, the African American cave guides and many interior shots of cave formations. 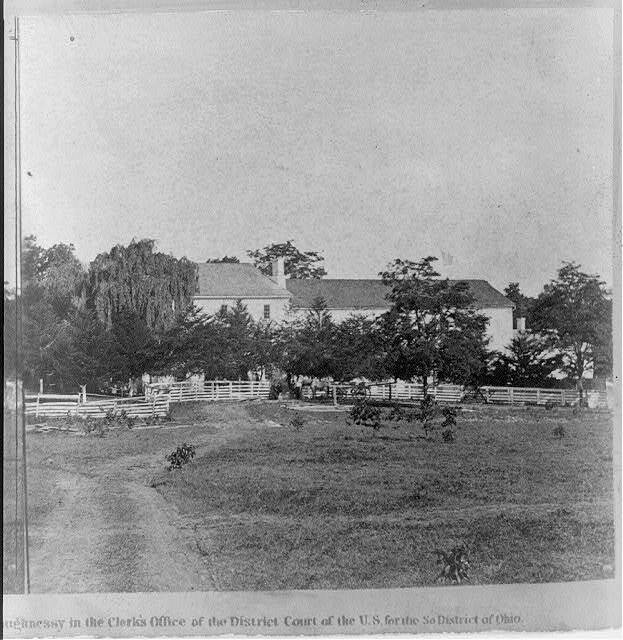 Waldack, orig inally from Belgium came to the United States in 1857. It was noted that he brought “sunlight” to the interior of the cave by the use of magnesium, so that one of the greatest natural wonders of the world could be seen by many. His biography from a special edition of the “Journal of Speleological History” (2000) notes: “These were the first high quality photographs produced underground in any cave. 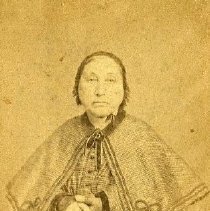 Waldack was naturalized as an American citizen after his marriage to Mary Tanner (born about 1849) of Kentucky, who was also a photographer. He set up a photography shop at 31 West 3rd Street in Cincinnati and made many excellent views of buildings, streets, and bridges between 1857 and 1873. Most important was his 42 stereo cards of Mammoth Cave. The Anthony series was continuously printed until about 1872, and 12 of the photographs were printed as engravings in the 1870 book, “A Historical and Descriptive Narrative of the Mammoth Cave of Kentucky” by William S. Forwood. These stereo views can be seen at by visiting WKU’s Department of Library Special Collections or by clicking on the link to access the images at KenCat.